Bio: Carly Hood is currently pursuing her Doctorate of Musical Arts with a cognate in Music History at the University of Cincinnati College-Conservatory of Music (CCM). 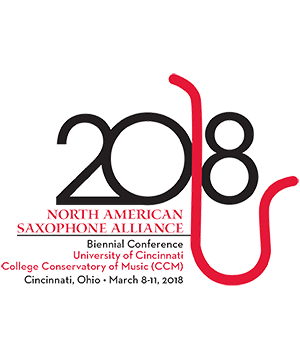 There, she plays baritone saxophone in the Rhine Quartet, which was recently named winner of the Ohio MTNA Competition for Chamber Winds. Ms. Hood studies with Dr. James Bunte, and has served as both Saxophone and Music Education Graduate Assistant. Ms. Hood holds a Masters of Music in saxophone from Stephen F. Austin State University, where she studied with Dr. Nathan Nabb and served as Teaching Assistant for the saxophone studio. While there she was a winner of the 2013 SFA Solo/Aria Competition, and was invited to perform Paule Maurice’s Tableaux du Provence with the SFA Orchestra of the Pines. Ms. Hood received bachelor's degrees in Saxophone Performance and Music Education from CCM. Lucas Halley Tenor Saxophone Lucas Halley is currently pursuing his Doctoral of Musical Arts degree at Texas Tech University unde . . .
Michael Delfin Piano Praised for “beautiful performances of great warmth” (Classical Voice of North Carolina), pianist&nb . . .
Carly Hood Soprano Saxophone Carly Hood is currently pursuing her Doctorate of Musical Arts with a cognate in Music History at th . . .